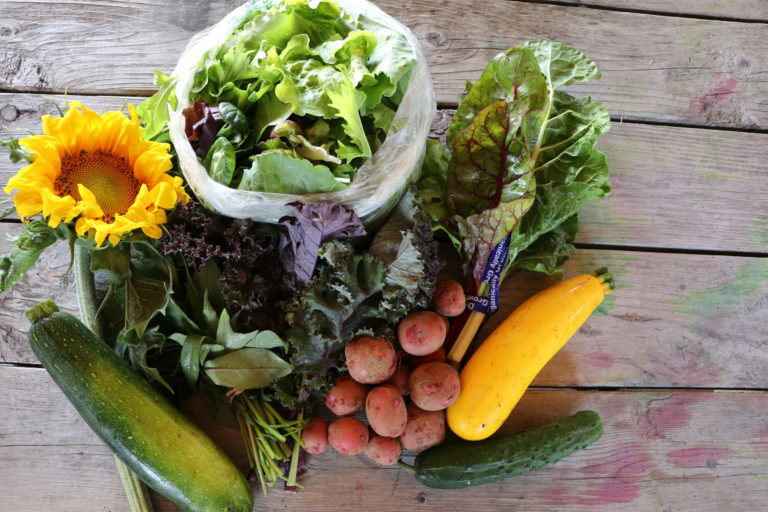 Community Supported Agriculture (CSA) shares have become a popular way for farms to market their wares directly to local customers. 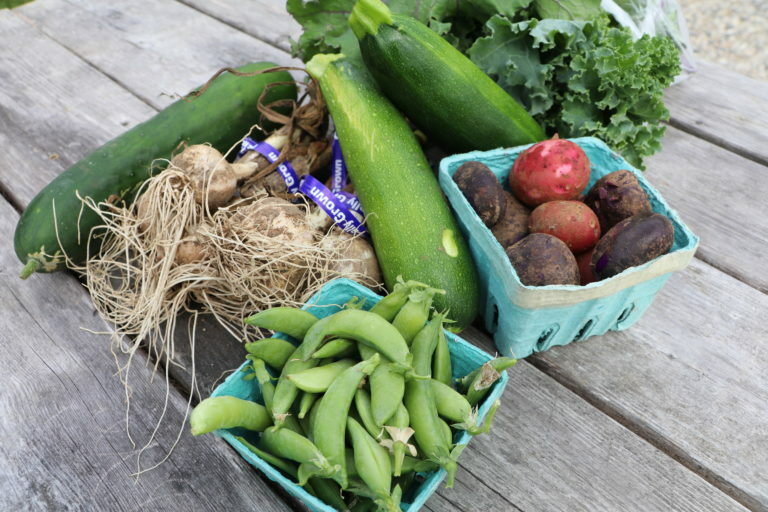 CSA members buy a “share” of the farm’s production for a season. Shareholders receive a portion of the harvest as the season progresses. It can be a great way to connect with and support local farms and farmers! 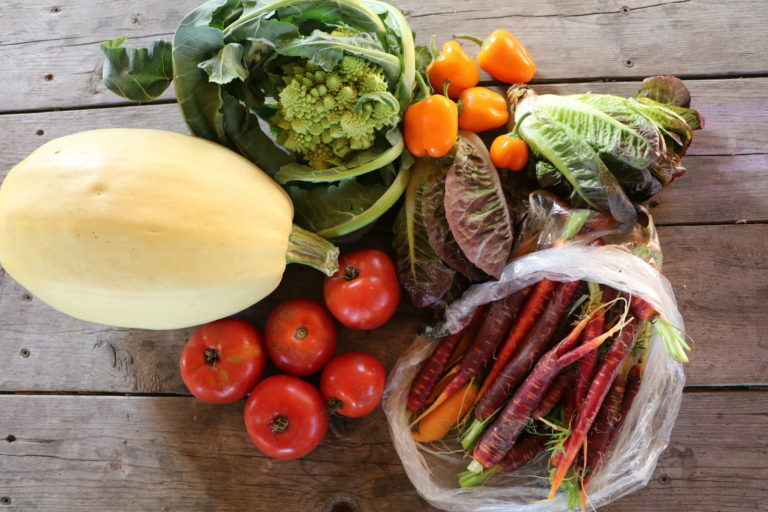 All CSA members receive our weekly newsletter with recipes, notes from the field, and more! Vegetable CSA shareholders enjoy $26 worth of a delicious organic produce each week, from our famous “Wolfe It Down Salad Mix”, to heirloom tomatoes, summer squash, and so much more based on what’s in season. All fruits and vegetables are grown right here in our production plot and in our greenhouses, and are harvested fresh each week. Our production fields are managed by our Fruit & Vegetable Interns who are honing their skills training to become the next generation of organic farmers. The fields provide educational opportunities for campers and day visitors, contributions to local food pantries, and a space to experiment with innovative growing techniques. This work is made possible through your support of our CSA program. Only 40 shares available! Our diversified livestock and poultry are free-range, raised humanely on lush oceanfront pasture free from synthetic fertilizers and pesticides. They are an integral part of our regenerative farm plan to keep our grasses vegetative and productive, our soils healthy, and our farmland utilized to its fullest potential. When purchasing a Meat CSA, you will receive approximately 3-5 pounds of pre-packaged, frozen meat each week, with a rotating selection of chicken, pork, lamb and beef. As an added bonus, we’re including extra meat for those special grilling occasions on Independence Day, Labor Day, and Columbus Day (a $45 value across the three holidays). Only 20 shares available! Our laying hens lead a very peaceful, natural life. They are never confined to a cage, and are given fresh pasture every day. They can take dust baths, socialize, roost, scratch, and eat insects to their little heart’s content. You simply cannot beat the flavor and color of fresh, fresh eggs from pasture-raised hens! 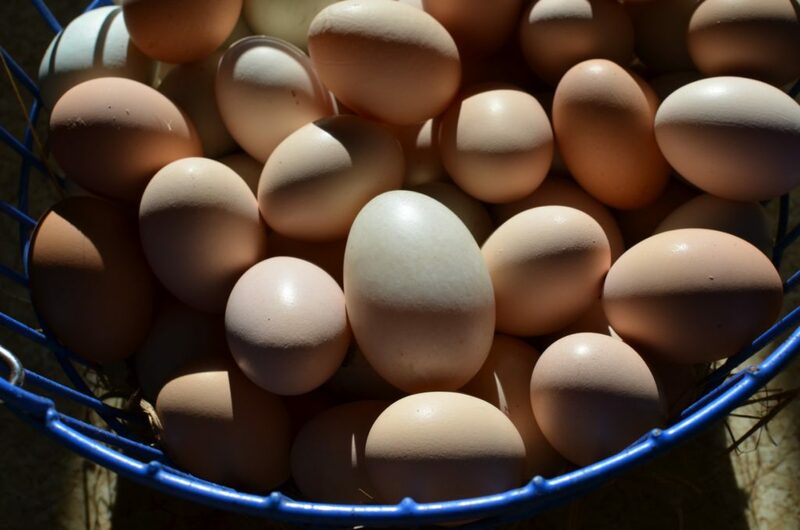 Those who purchase an Egg CSA receive a dozen eggs per week for the full 18 weeks. Our eggs often sell out, so this share guarantees your weekly dose of delicious, farm-fresh eggs. Only 40 shares available! 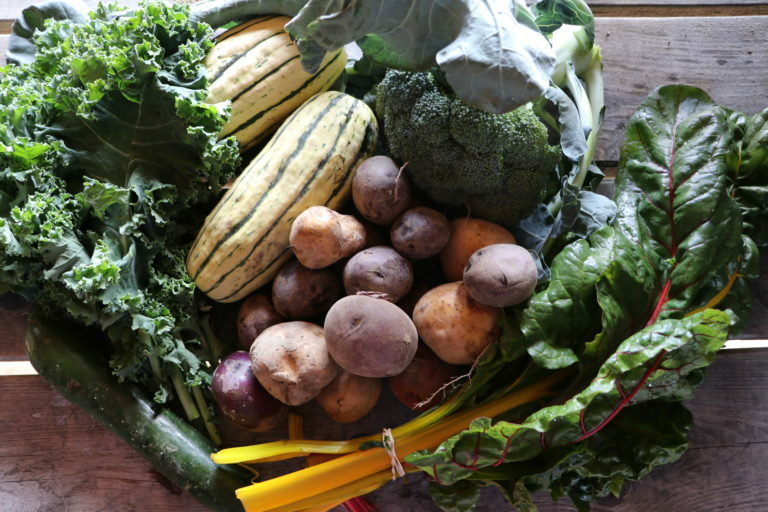 Note: On some weeks, you will have the ability to choose between similar crops when we have an abundance (for example: Pick 1 bunch of kale or chard, pick 1 delicata squash or butternut). We are MOFGA-certified organic and 100% chemical-free. Vegetables are grown with non-GMO and organic seeds, cultivated using sustainable practices and without any chemical fertilizers, pesticides, or herbicides. I'm interested in more than one type of share. Can I buy multiple shares? Yes, absolutely! You are welcome to purchase any combination of Vegetable, Meat, and Egg CSA shares that you like. Can I pay by month? The CSA model is meant to alleviate start-up costs for the farmer at the beginning of the growing season. Paying up front helps offset these costs for the farmers while providing you with the first selection of our quality products. Therefore, payments are received in full when signing up for your CSA share (except if you are purchasing a SNAP share). All CSA shares can be picked up in the Farm Store, located on the Little River Campus next to our Livestock Education Barn. Vegetable CSA members can choose their produce from the display. Meat will be found in a CSA member-only freezer. Eggs will be labeled in a member-only section of one of the refrigerators. Do I need to bring my own bag to pick up my share? Can I substitute something in my share for something different? No, we have a limited production and want to ensure that all CSA members receive their weekly supply. We ask that you take the items indicated each week. If there’s an item that you do not want, you are not required to take it with you. We will make exceptions for any religious needs for the Meat CSA. If I’m out of town for the week, can I pick up two shares the following week? Sorry, this will not be possible. You are welcome to transfer your share to a neighbor, family member, or friend for the week that you are gone. Should I be worried about produce running out before I get there? Fear not! Crops, meat, and eggs in short supply will be set aside for CSA members only. What happens if I’m going to be out of town and can’t pick up my share? No problem! Send us an email so we know which neighbor, family member or friend is picking up your share. Something’s come up and I can’t make my preferred pickup date this week. What do I do? Please email us and we’ll coordinate your pick up. 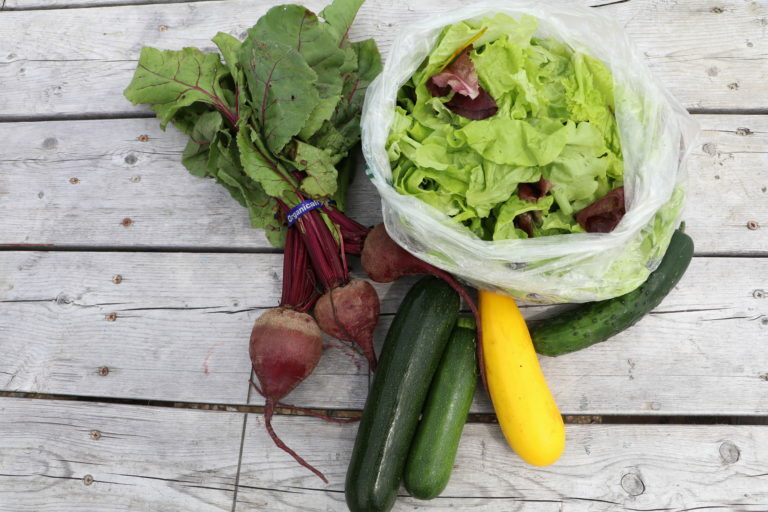 What quantity of produce can I expect in my Vegetable CSA? 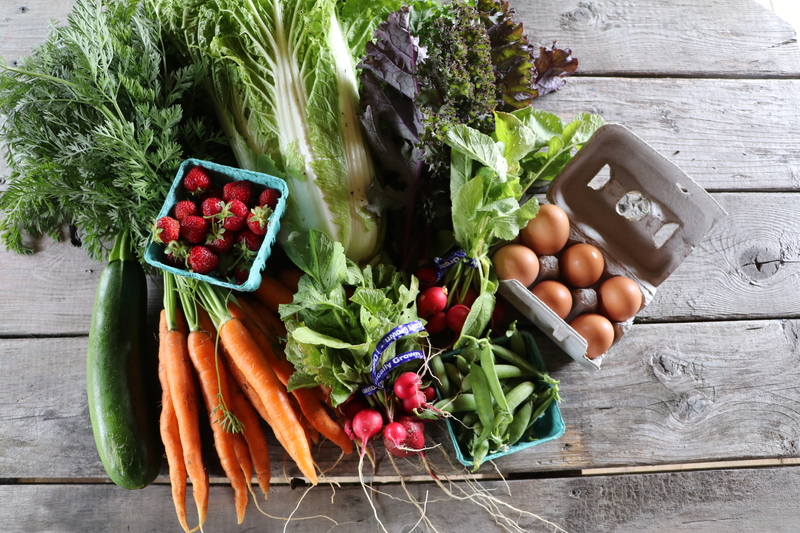 Members can expect to receive $26 worth of produce every week. 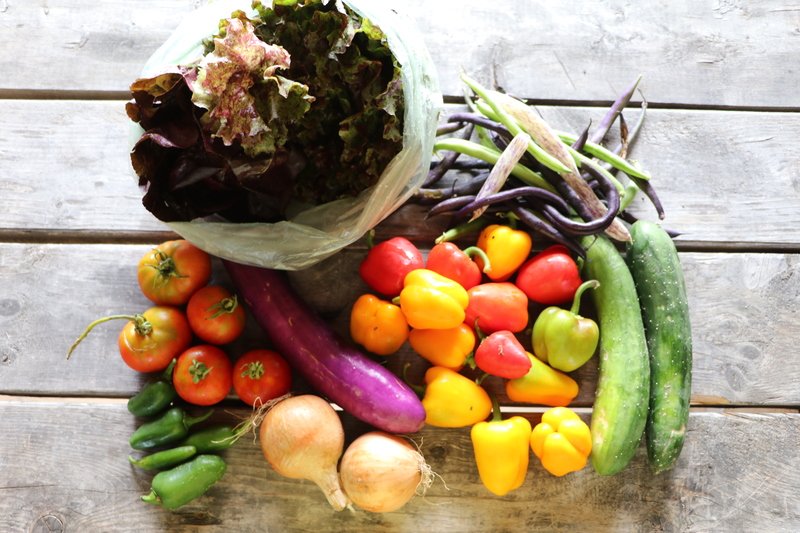 For some members, $26 worth of produce a week is only enough to supplement the vegetables their family needs to eat on a weekly basis. Some of our members decide to buy 2 shares in order to feed a larger family. What quantity of meat can I expect in my Meat CSA? Is the meat organic? How are the animals raised? Our meat is raised organically, however it is not certified organic by the USDA. 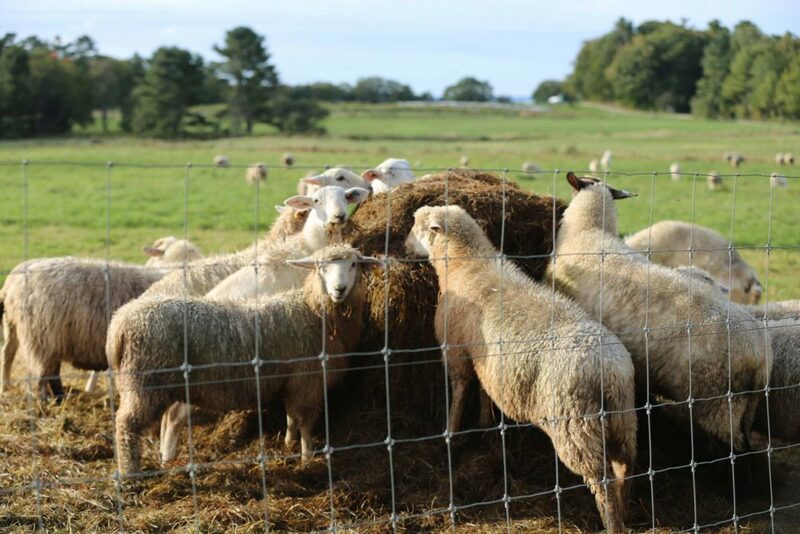 The livestock at Wolfe’s Neck Center are raised in a low stress, organic manner. They are given the best treatment and closely monitored everyday to ensure everyone is healthy and happy. During the late spring, summer, and early fall the livestock are intensively rotated through our pastures where they enjoy luscious green forage. They are also given a high quality organic grain. During the winter the animals are fed high quality, organic hay and baleage bales along with the organic grain. Where is the meat processed? We also offer Vegetable CSA shares for SNAP recipients. 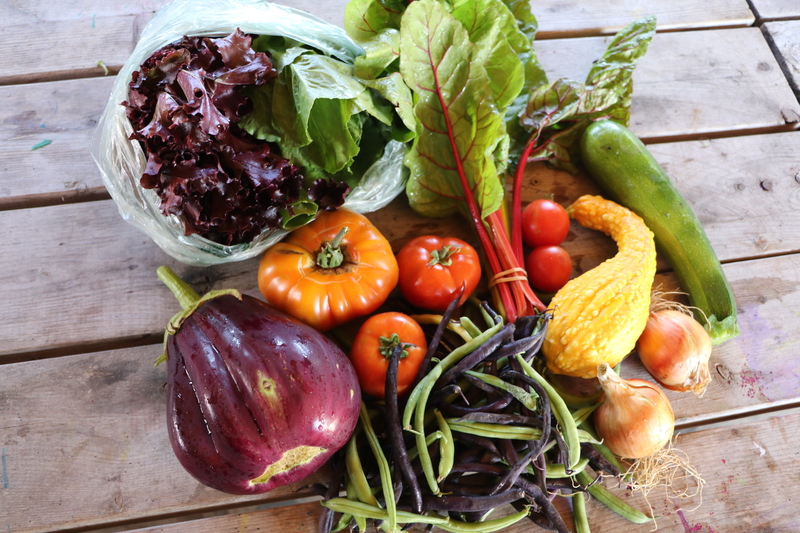 These shares are available at a 50% reduced rate and can be paid in full prior to the CSA season or at each weekly pick-up. SNAP shares are $237.50 for 18 weeks of produce. Meat and Egg CSAs are not available for SNAP recipients at this time. Questions? Please call us at (207) 865-4469 x106 or email tprohl@wolfesneck.org.